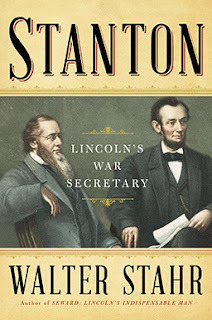 Although overshadowed in history by battlefield titans such as Gen. U. S. Grant, Edwin Stanton was arguably President Abraham Lincoln’s most valuable ally during the Civil War. As Secretary of War, Stanton faced the awesome task first, of rapidly raising an army, and keeping it armed and fed in the field. The telegraph and the railroad were revolutionizing the rules of warfare. Stanton recognized their value, and he proved a genius at shuffling thousands of soldiers from battlefield to battlefield to counter the threats raised by advancing Confederate armies. Stanton’s Ohio boyhood was marked by hard times. 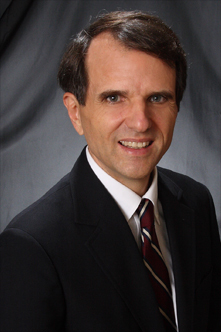 Money woes meant he spent only a year at Kenyon College, then “read law” with an attorney in his native Steubenville. He was involved in an array of complicated cases, from Mexican land claims in California to a seven-year struggle to halt the building of a suspension bridge over the Ohio River as a barrier to steamboat traffic. A Democrat, he entered government as attorney general under President James Buchanan, and he initially opposed Lincoln (although they had worked together on a major patent case). But when war came, his loyalty to the Union was foremost and he became perhaps the most radical Republican in the war cabinet. He was one of the few who advocated enlisting former slaves and giving them the same pay as white soldiers. This Afro-Americans, with 179,000 enlisted, made up about one-tenth of the Union army. Nearly 40,000 died in combat. Although Stanton had no military experience, Mr. Lincoln trusted his judgment in the incessant feuding among Union generals. He was instrumental in vaulting General Grant over more senior officers to take command in the western theater. And he did not hesitate to make major military decisions. When a Union defeat at Chickamauga, Tennessee, threatened to obviate recent gains in the South, Stanton summoned key railroad presidents to Washington (“Please come … as quickly as you can”) to plan a massive and swift movement of 20,000 troops from northern Virginia to southern Tennessee. President Lincoln “mocked Stanton” for his audacious plan, for the Union army was not noted for mobility. But Stanton’s plan worked: a combination of several rail lines, supplemented by river boats, carried out “the largest and fastest movement of troops in history.” Battlefield disaster was thus averted. Stanton was also astute in politics. Mr. Lincoln’s 1864 re-election was uncertain. With four candidates on the 1860 ballot, he had received less than 40 percent of the popular vote. To insure that the president received every possible vote, Stanton ordered that soldiers from key states be granted furlough to go home and vote – presumably for the incumbent. The serving military voted overwhelmingly for Lincoln, who won handily. Stanton always found a back-channel means of shaping media coverage of the fighting. He dispatched telegrams about battlefield developments to John Dix, the general in charge in New York. These cables were routinely routed through the Associated Press, which happily passed them along to member newspapers – in effect, distributing government press releases as news. Control of the press – and of anti-war dissent – were key to Stanton, and his actions in these areas prompted criticisms that tarnished his reputation. Some of his actions – such as curbing anti-war riots – could be categorized as essential wartime counterintelligence. But throwing newsmen and anti-Lincoln politicians in jail was another matter, and remain a stain on Stanton’s record. The night of Lincoln’s assassination, Stanton essentially seized the reins of government. As did most everyone in Washington, he recognized the shortcomings of the frequently-soused Vice President Andrew Johnson. He directed the investigation that quickly fingered John Wilkes Booth as the killer and brought his associates to justice. As president, Johnson reciprocated Stanton’s hostility by ousting him from office, touching a dispute that led to his attempted impeachment.